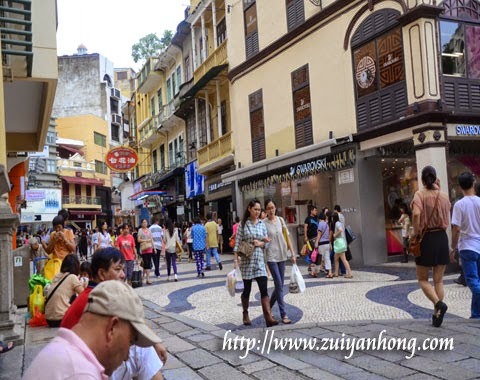 Macau Pedestrian Street is not far away from Fortress Armourial and Ruins Of St Paul's. 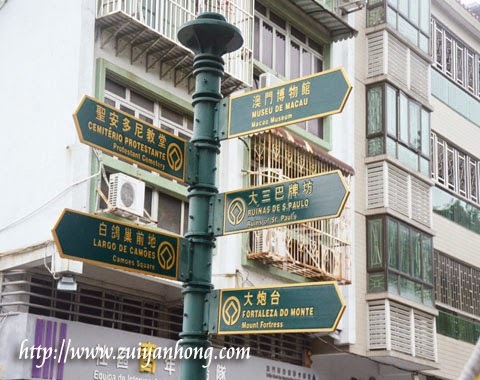 These were some of the road signs at Macau Pedestrian Street. The road signs were with three languages. We bought three tarts from a stall at Ruins of St Paul's Square. The tarts were truly savory. They cost 7 MOP each. 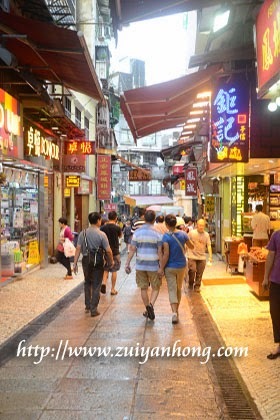 Macau Pedestrian Street is flocked with visitors from all over the world particularly during holidays and weekends. 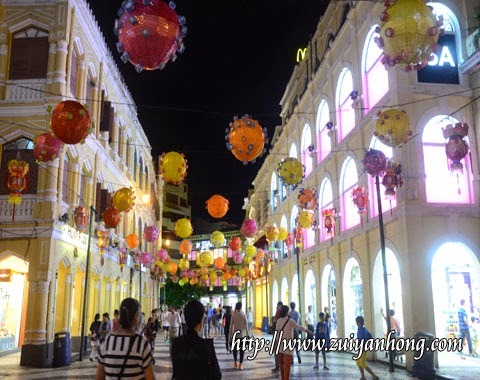 This is another photo of Macau Pedestrian Street. A wide range of shops are available along both sides of the narrow street. An ice-cream shop employee was busy promoting durian king flavor ice-cream. He was greeting with a boy who was passing by with his family. 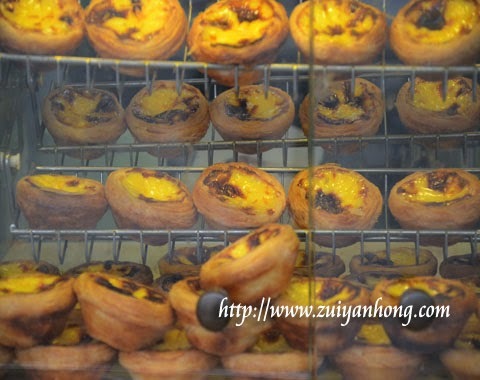 This photo shows two pastry shops which are selling various types of pastries at Macau Pedestrian Street. These two shops are Hou Kon Pastry and Fong Song Pastry. We stopped at Lemon Cello after waking around Macau Pedestrian Street. Lemon Cello is an ice-cream shop selling a wide variety flavors ice-cream. Besides all sort of shops, there is a special building at Macau Pedestrian Street. 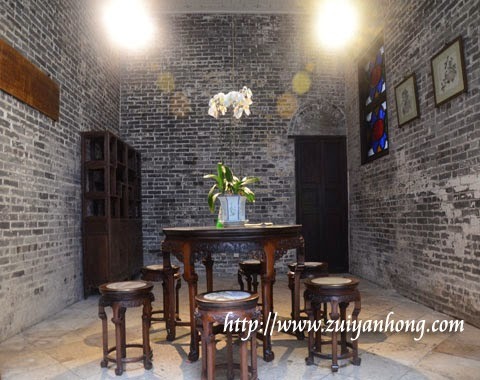 The building was the residence of a merchant, Lou Kau in the 20th century. We saw a few Malaysia musang king durians at Macau Pedestrian Street. 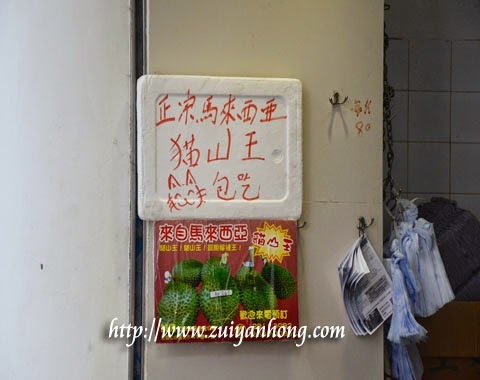 It's truly surprise to see those durians at a fruit stall at Macau Pedestrian Street. 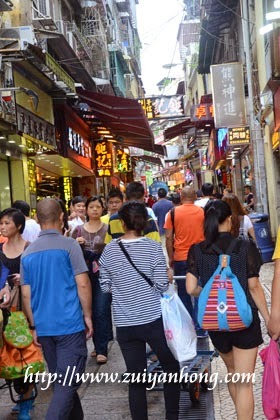 Regardless of day or night, Macau Pedestrian Street is always crowded with tourists. 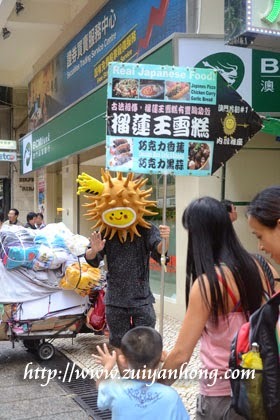 This photo was shot at Macau Pedestrian Street. The location is near Senado Square in front of Senado Building. 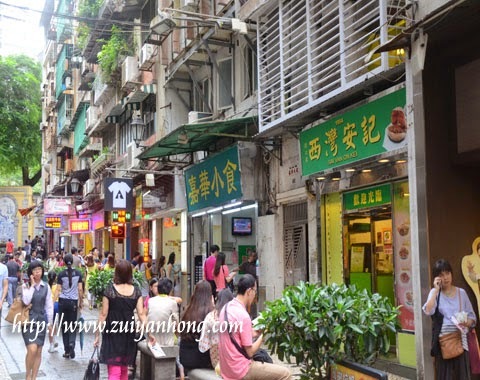 In case you are weary of walking here and there, you can have a rest at any place around Macau Pedestrian Street. Don't worry about the safety because the authority is very concerned on the public order of Macau City.